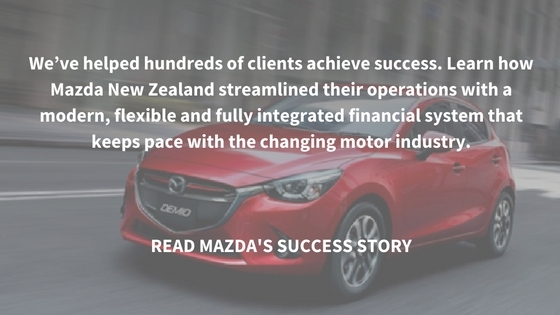 Mazda New Zealand is a story of both growth and change. When Mazda opted to build its own parts management system it had five months to turn an empty building into a warehouse, train staff, and implement a business system that would fit their needs. Today Mazda’s local warehouse carries 25,000 lines, with access to 55,000 lines in Australia and a further million lines available out of Japan. As parts are dispatched to dealers, Greentree processes the invoices and sends alerts for any re-stocking. Through Webstore, dealers are able to replenish their stock requirements and according to National Parts Manager, Brett Todd “If you can place orders with Amazon.com is any another online shop-style website you can place orders with us. ‘From our perspective the systems that we have implemented here allow us to run our business in a fast and efficient manner, which is critical to its success nowadays. The system does what it needs to do, it has the flexibility of doing more, which means our businesses is set for the future.” says Brett Todd. “We’re not having to look around potentially other systems, we can make continuous improvements. Do you need help with critical on-hand inventory reports?